1. What is your relationship with the breed? ‘when did you get your first Flatcoat? We got our first flatcoat in 1991. 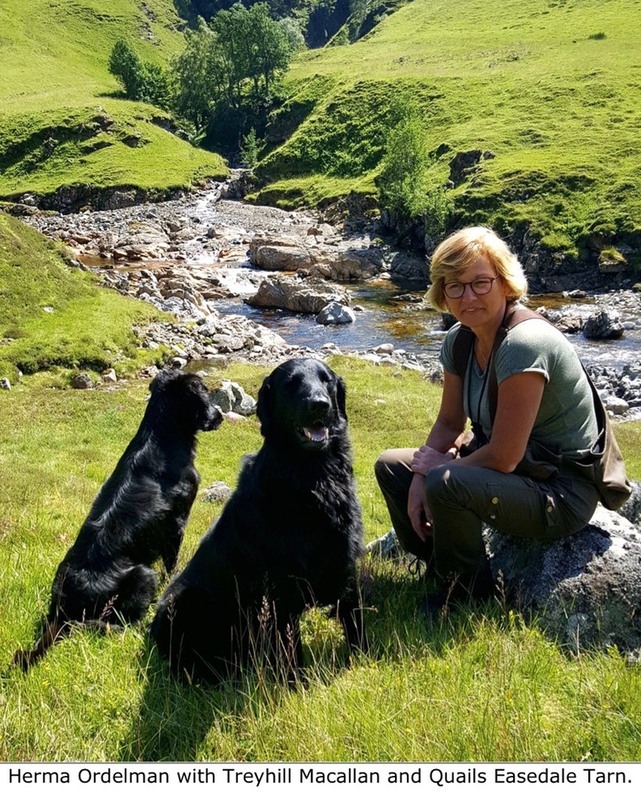 After a few years we started with gundog training. We worked with them in trials and shoots. We do not breed with them yet, but we do have plans in the future. 2. What do you like most in a working flatcoated Retriever? The initiative and intelligence of the flatcoat are characteristics which are very important for us. 3. What abilities do you look for when you are breeding a working Flatcoated Retriever. 4. 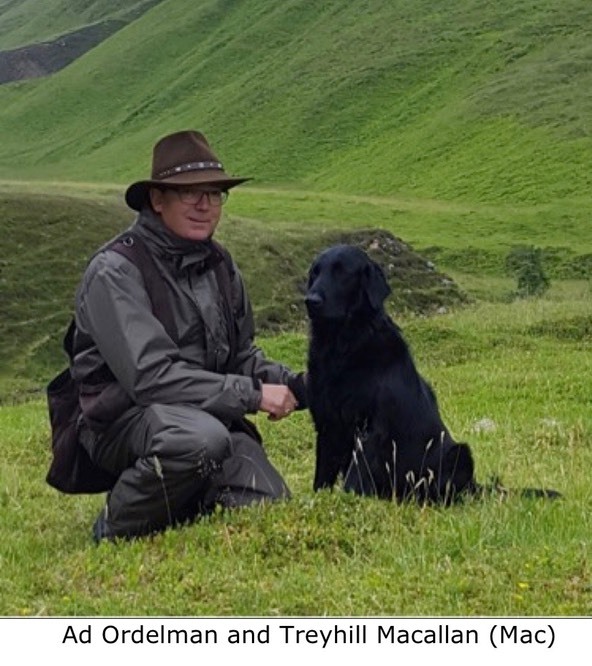 What could be done to promote the Flatcoat as a field trial/working test dog? Promote the flatcoat in the typical way of working of a flatcoat. Do not compare the flatcoat with a Labrador. If you want to make a flatcoat perform like a Labrador, please find yourself a Labrador. 5. How does a working Flatcoat excel as a picking up dog? The way a flatcoat is working makes them unique. Flatcoats are able to find game which are ignored by other dogs by using their noses in a very effective way. 6. What’s important to emphasize when training a Flatcoated Retriever? Make use of its intelligence and own initiative and don’t try do eliminate this powerful characteristic.